It has been quite the year for accessories. The statement necklace has become a wardrobe staple, and the combinations are endless for those of us who love to get our “Arm Party” on. Yes, Arm Party: The stacks and stacks of mismatched, but somehow coordinating, bangles, cuffs, charm, and friendship bracelets, plus watches, that have become the new accessories statement. It’s a dream come true for the accessory-obsessed. 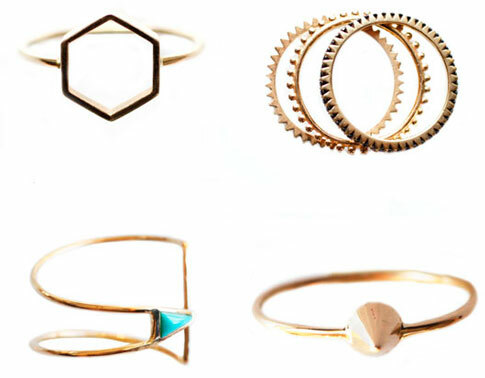 Lately, rings have taken center stage in my accessory love affair. I can’t seem to get enough. Rings that I shelved because they were too large or too small now have homes on my pinkies and thumbs. Shopping your jewelry box just got a little more exciting, huh? 1. Do: Stack multiple colored stones on one finger for an eclectic look. 2. Don’t: Be afraid to mix metals and textures. Silver and gold can complement each other! 3. Do: Mix high and low. Your engagement ring and wedding band are a great focal point. 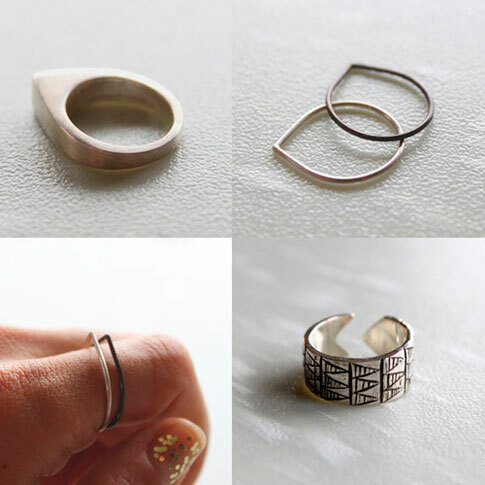 They complement a dainty thumb ring, or a vintage piece that has sentimental value. 4. Don’t: Shy away from monochromatic color schemes. 5. Do: Try new styles. Double finger rings are true statement pieces.